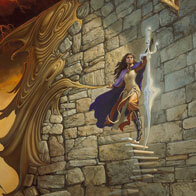 Michael Whelan and Robert Vickrey: IMAGINATIVE REALISM. Michael will be at the Opening Reception: 8/16/2008 5-7 pm. It’s been 6 years since their last two-man show together and the artists have been busy! Hope you can attend and see what fantastic visions they have been creating. The show runs until 8/21, but the gallery will continue to feature Michael’s work so if your vacation plans include Cape Cod, please visit Trees Place in Orleans. The iO GALLERY in beautiful Cornwall Bridge, Connecticut and THE CHALK FARM GALLERY in exciting Santa Fe, New Mexico are 2 new places where fans and collectors can now see and purchase Michael’s original art. Together with Tree’s Place on Cape Cod, these galleries are wonderful places to visit for a chance to see Whelan paintings in person. He is in shows at both the iO Gallery and Tree’s Place later this summer and will attend the opening receptions, but all the galleries have originals on hand now. If you live nearby or your travel plans this summer include these areas, please stop in. 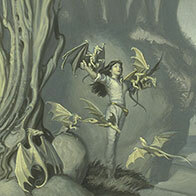 The fantastic iO Gallery in Cornwall Bridge, Connecticut is now representing Michael Whelan. This little gem of a gallery is nestled in the countryside just up the road from the gorgeous Kent Falls and is home to stunning examples of insider/outsider art that you would usually expect to see only in Manhattan galleries. 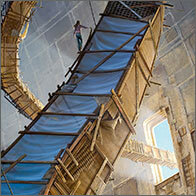 Collectors have been thrilled to discover Whelan art there, and especially to see his large-scale canvases in person. What seems like a world away is only a lovely 2 hour drive from the City and well worth the trip. 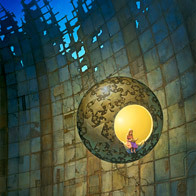 A leading Santa Fe, NM art gallery, the Chalk Farm Gallery is pleased to announce that they now represent Michael Whelan. Santa Fe has long been an exciting art community and Chalk Farm is a unique and important destination there. Fans and collectors are delighted to have this new part of the country as a place to see Whelan originals. 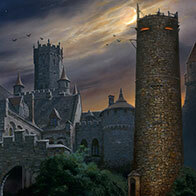 Michael Whelan will appear at the NEW YORK COMIC CON Friday and Saturday 4/18-19. He will be the guest of BABY TATTOO BOOKS at BOOTH 1851. The Exhibit Hall Public Hours are: Friday 3-8 pm and Saturday 10 am – 7 pm. He will be at the Baby Tattoo booth both days for several hours, but please check at the booth for the exact times. Join Michael as he talks about his career and the creative process using slides of his work. Michael sent in a painting today to the Society of Illustrators in New York for their annual Student Scholarship Auction. 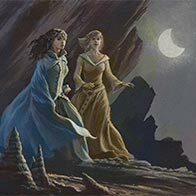 The 20″ x 24″ full color acrylic painting entitled BRIONY was originally done as a preliminary for the cover of Tad Williams’ novel SHADOWMARCH. 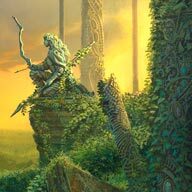 Tree’s Place Gallery will host Michael Whelan and display his original works at the premiere showcase for fine art in New England. Michael is looking forward to meeting fans and collectors at this prestigious event. 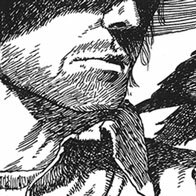 Donald M. Grant Books is soon to publish an omnibus volume containing: THE GUNSLINGER, the first book in Stephen King’s smash Dark Tower series and the short story “Little Sisters of Eluria” with artwork by Michael Whelan. This new edition will feature all the art from the original book, plus a new cover, endpapers, title page painting, and more! 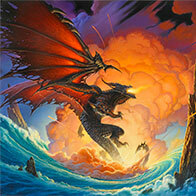 Michael invites fellow artists Bob Eggleton & Naoyuki Kato to join him in painting live for fans. 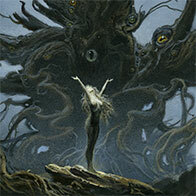 The guys paint up a storm and produce 9 paintings which they donate to the convention. The collaborative works raise over $30,000 in the art auction. Michael Whelan is the American Artist Guest of Honor for the first World Science Fiction Convention in Asia and he delivers a speech mostly in Japanese at the standing-room-only event.